The libraries have an important role to play when it comes to teaching our users how to evaluate the sources they find. 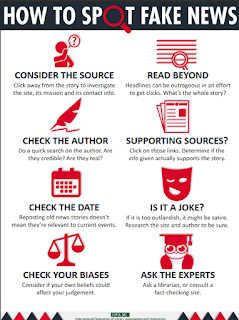 These days we see more and more fake news circulating and the international Federation of Library Associations and Institutions (IFLA) has made a poster on how to identify fake news. 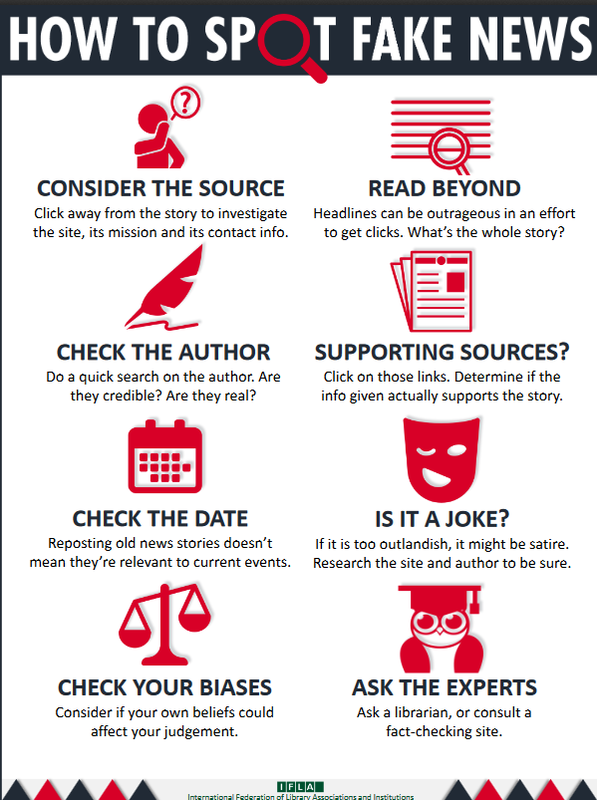 Feel free to download the poster, print it and share it with your users.